Caster Town was founded in 1977, from commercial to industrial casters and wheels, our large in-stock selection will allow us to fit your application. We always make sure that we have the inventory on hand to supply your need, and if we don’t have it on hand we will find it. Contact-us or come to one of our stores and let us find for you the right wheel or caster that will make your world an easy place. You can find a selection of our products in our online catalogue. Caster Town shops the world to source the best quality and the best price casters, wheels, glides, material handling, furniture parts and shelving to meet your challenging requirements. 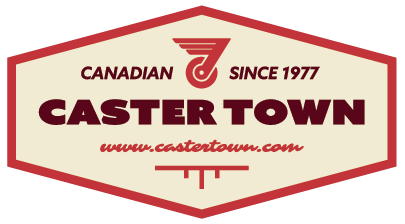 Caster Town is the premier distributor of casters, wheels, material handling equipment and select complementary industrial products and will be located to serve the marketplace across Canada. Caster Town is a leader in our industry. 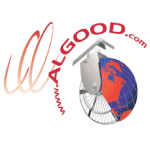 We serve our customers with professional staff and competitive prices at our locations across Canada and throughout North America via our webstore. We provide our staff and customers with a respectful, clean and safe environment. Tell us about your project, and request a quote or ask for advice and information. Our experienced Service Technicians will guide you in finding the right caster, glide, shelving or equipment. Your project will be designed and supplied to meet your application. The Caster Town newsletter keeps you informed on our new products, special events and promotions. Thank you. Your information has been successfully submitted!